[ Order Invasion Biology ] Website last updated 25 September 2013. 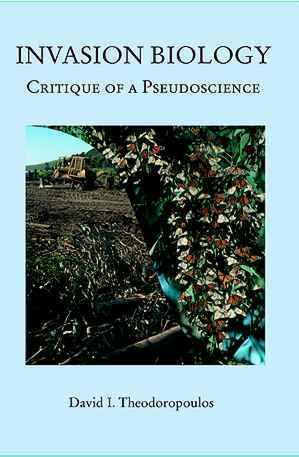 "[T]he core of the book is an attack on prevailing paradigma of invasion biology.... [T]he book contains many new points of view, and stimulating ideas, and I recommend it for reading not only to specialists but also to general biologists." —Dr. J. Krekule, 2003. Book Review, Photosynthetica, 41 (3):348. "Now it is invasion biologists' turn to face misguided invective. [The book is] faulty... inconsistent... [has] an inadequate evolutionary framework... incendiary... disingenuous... inflammatory... spurious, highly politicized... invective, masquerading as an authentic scientific critique." —Dr. D. Secord, University of Washington. Book Review, Ecology 85(4), April 2004.